Dr. Madhumi Mitra-Dr. Mitra has received her doctoral degree in Plant Biology from North Carolina State University, Raleigh, NC, USA. She is an associate professor of biological and environmental sciences in the department of natural sciences at UMES. Her other responsibilities include coordination of Biology and Chemistry Education programs. 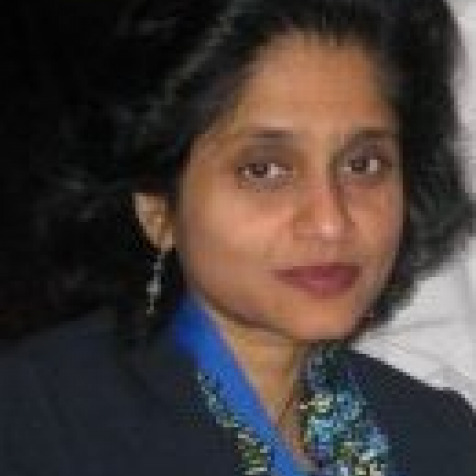 Dr. Mitra is the site director of NBBEP at UMES. Her research interests and expertise include: micro and macroalgal ecology; Seaweeds in human health and nutrition; biomonitoring and biosorption potential of seaweeds and seagrasses; biodiesel from algae; water quality; and reconstruction of the past environment and climate from microfossils. She is the recipient of various research and teaching awards and has published in many peer-reviewed journals and proceedings, and presented her work at national and international conferences.